Dr. Manuel Katz completed his undergraduate studies at Cornell University where he earned a Bachelor’s Degree in chemistry. He went on to medical school at the Albert Einstein College of Medicine and then completed his internal medicine residency at Montefiore Medical Center where he was selected to serve an additional year as Chief Medical Resident. 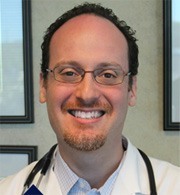 Ever since, he has been in practice at Leonia Medical Associates as a Board Certified Internist. He is also active at Englewood Hospital and Medical Center where he is the Associate Chief of the section of Internal Medicine and he has served on numerous committees. He is a clinical instructor for the Mount Sinai School of Medicine and is active in teaching the residents and medical students of Englewood Hospital and Medical Center. He has special interests in preventative medicine and the treatment of diabetes.